Our ice fishing take consists of walleye, saugers, northern pike, eel pout, jumbo perch, tullibee, whitefish, lake trout AND crappies! Our private Bombardiers and Rangers are available to warmly and safely transport you to and from your ice fishing house. We move our houses throughout the season, daily if needed, to keep you on the fish. 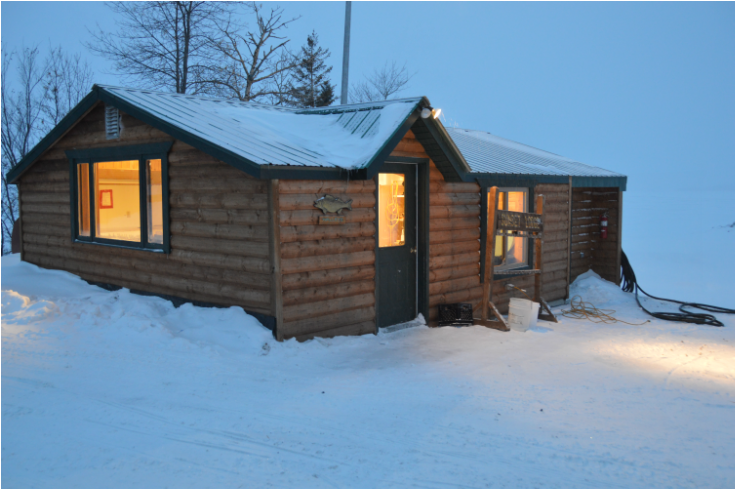 You will find our fish houses warm, holes pre-drilled and bait is provided! We also have heated outhouses available on the ice. Our fish cleaning house features in floor heat for comfortable winter fish cleaning! Rent a house from us or bring your own! For more great fishing pictures, please visit our Blog!